I was also not sure about getting the 3m or 4m then got the 4m in the end and glad I did as I think the 3m would have been too small. My first session was about 25-30kn on the foil and I chose to go with the depowered setting on the kite. I only started foiling a few months ago and this is the first time I've been out on a foil in over 15 knots of wind. I was very much under powered and had to dive the kite aggressively to get going. There is no way I would be able to ride this kite like this one a twin tip or surfboard in this wind, need > 35knots. Every thing happens so much quicker on the foil in stronger wind. Today I went for a second session on the 4m, this time on normal power setting. Wind was 27-30 knots and I was perfectly powered. The kite behaved much better though I started feeling a little over powered towards the end of the session. The Element V6 does depower and drift well. That's what I like about kitefoiling. 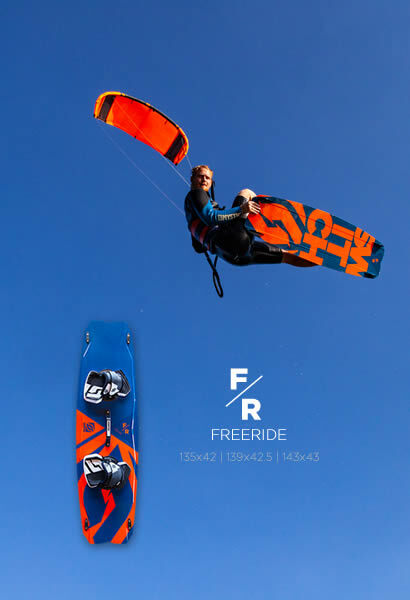 You can ride with a much smaller kite and have fun sending it around, zipping up and downwind while others are just riding crosswind. knots range on foil in for 70 kg rider? Anyway, Last day of 2018 and I've ordered a 14m V6 Hopefully arrives before I go on Holiday Mid January! Did everyone find the forum again? Got my new E6 14m this morning. Not bad for order on Monday afternoon and Friday now! I am loving the one strut 5m Element V6 for foiling. Power can be turned off and on on demand, it's zippy but predictable, and it's so mellow and forgiving. The wind range for me is 20-30 knots. If I was regularly going to kite in 30+ knots, the 4m would be better, it is after all a 20% decrease in surface area. The low aspect, one strut, small kite design is a bit of revelation to me, you can throw the kite around into silly places kinda like the Boardriding Maui guys do. However, I am struggling a bit on the 7m Element. It is 5 struts and higher aspect. I ride much faster but the crashes are more spectacular. Gusts get translated into power, which I can't always control. On my first ever turn to toeside, I was going so fast that I overran the kite and it dropped through the lines. I am getting the hang of it though, it's just a more racey, less carvy style of riding. On the plus side, the kite drifts well and it is very grunty and fast, so I can easily get it going in < 15 knots but prefer the 5m once it gets over 20. I can see why it is a good freestyle kite, but maybe the 7m Helium would have been a better option for foiling. A question for the Switch designers would be whether the one strut design could by scaled up to 7m without losing that special magic that the 5m has. Ikon Peak3XS comes in 6m, so you could try that. Rather than buy a new kite (especially one that doesn't exist like a 1 strut Element 6 7m), you would be better off working on your foiling skills. You sound like you're very much a beginner foiler. 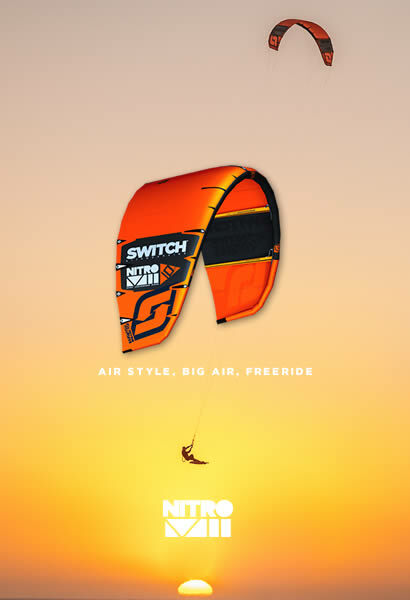 It's tempting to buy new kites and smaller kites when you think you're overpowered, and smaller kites can be huge fun. But if you're being overpowered on a 7m at all then you need more foiling practice. There is no reason why you should not be able to handle the same power on a foil as you would on a TT or a surfboard. Please excuse me if I'm missing something simple but... Far less drag on a foil allows significantly increased speed so how is the same kite still the same power in the same conditions on a foil travelling significantly faster and crossing the mass of faster (relative) moving air? The key word is "allows", not "requires". You can foil with a kite in less wind than other boards. The kite doesn't actually generate any more power. You can just get away with less of it. There's no reason why you can't handle a bigger kite on a foil in similar winds to those you would on a surfboard or TT. You can "edge" a foil just as much as you can a surfboard. You can run downwind just as easily. You can park the kite up high. It's nicer and more efficient to have the right size kite. But if you're having trouble being overpowered, especially on a 7m kite, then you should look at your skills more than your equipment.